We love spring time at Farmers Coop because it means time for garden planting, fertilizing, and preparing for the bloom of wonderful veggies, flowers and much more. Stock up on potting soil, fertilizers and mulch too! Know your soil. Most soil can be enriched with compost and be fine for planting, but some soil needs more help. Check with us at Farmers Coop. 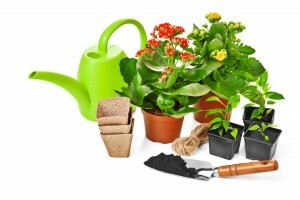 We carry a variety of different types of soils and we can help you find the best match for your growing needs. Decide between tilling and a raised bed. If you have poor soil or a bad back, a raised bed built with non-pressure-treated wood offers many benefits. Vegetables and fruits need lots of water, at least 1 inch of water a week. Make sure you have a good irrigation or watering system. For more information on gardening, come talk to our garden experts at your local Farmers Coop. This entry was posted on Thursday, March 31st, 2016 at 11:03 pm	and is filed under Garden, News & Updates. You can follow any responses to this entry through the RSS 2.0 feed. Both comments and pings are currently closed.